Matthew Phillips (Sherco) made history in two championships in 2016, lifting the first ever FIM EnduroGP World Championship and sealing the title in the E2 class after a year-long battle with fellow former FIM E3 Enduro World Champion Matthias Bellino (Husqvarna) and reigning French Champion Loïc Larrieu (Yamaha), which went all the way to the final round in Cahors. Phillips' surprise switch to Sherco, who had never previously won an Enduro world title, and a late decision to run a 300cc four-stroke instead of the 450cc, paid immediate dividends with a win and a second-place in each of the opening two rounds in Morocco and Portugal. Phillips notched another win and a third at the next round in Greece before posting double victories in Finland and Sweden. A double for Bellino in Euskadi kept the Frenchman in touch, his hopes boosted by a first no-score of the season for Phillips on day two of the penultimate round in Italy. However, former FIM Junior Enduro and E3 World Champion Phillips used all of his title-winning experience to ride a smart final round in France, picking up fourth on a first day won by Bellino and then finishing ahead of the home favourite in third place on day two. It was a breakthrough season for Larrieu, who picked up his first two wins, whilst his compatriot and triple former FIM Enduro World Champion Christophe Nambotin (KTM) managed a single victory during a season ruined by injury. 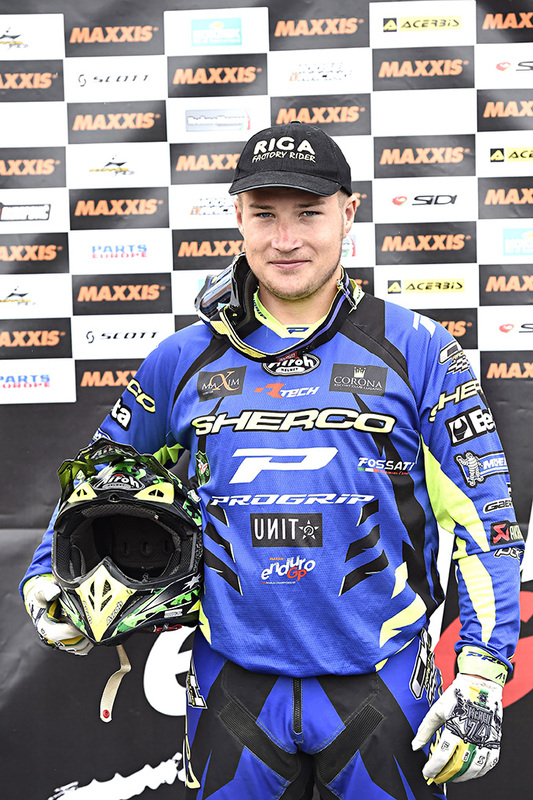 Matthew Phillips (Sherco) established himself as the outright best Enduro rider on the planet in 2016, going down in history as the first ever winner of the FIM EnduroGP World Championship – a new title created to reward the overall best performer across the three Enduro categories (E1, E2 and E3). The 2014 FIM E3 Enduro World Champion raised eyebrows with his decision to ride in the E2 series on board the four-stroke Sherco SEF-R 300, switching from the two-stroke factory KTM 300EXC as he returned to the CH Racing team that powered him to the FIM Junior Enduro World Championship title in 2013. It proved to be an inspired choice, the 'Tasmanian Devil' combining his day two E2 win in the opening round in Algadir with the overall EnduroGP win – a feat he repeated on day one in Portugal and day two in Finland. 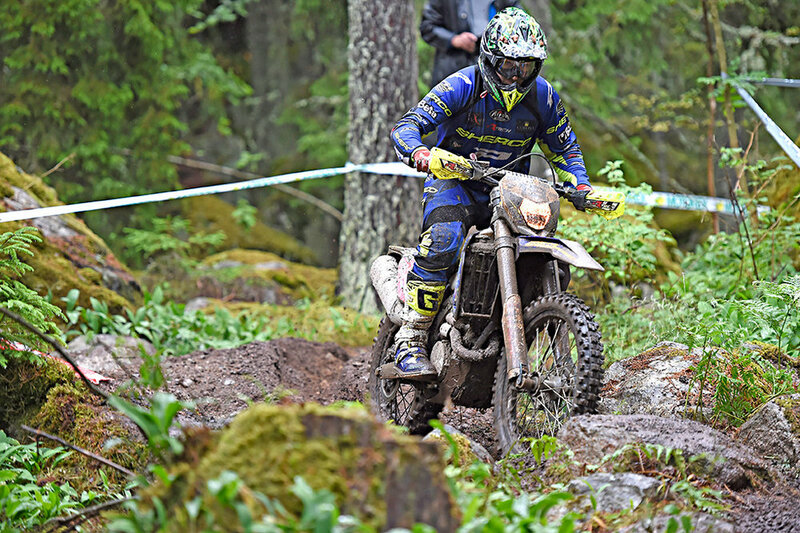 His double E2 wins in Sweden also scored him two second places in EnduroGP, contributing to an eventual podium tally of eight, averaging over one per round going into the final weekend in Cahors, France. With E2 title rival Matthias Bellino (Husqvarna) and eventual FIM E3 Enduro World Champion Steve Holcombe (Beta) both still hot on his heels, Phillips missed the chance to wrap things up on the opening day, finishing fourth as Bellino celebrated a famous home win. However, a smart fifth place overall ahead of both Bellino and Holcombe on day two sealed the EnduroGP and E2 crowns, bringing Sherco their first ever titles in the discipline and confirming Phillips' status as the best rider across all FIM Enduro World Championships in 2016.